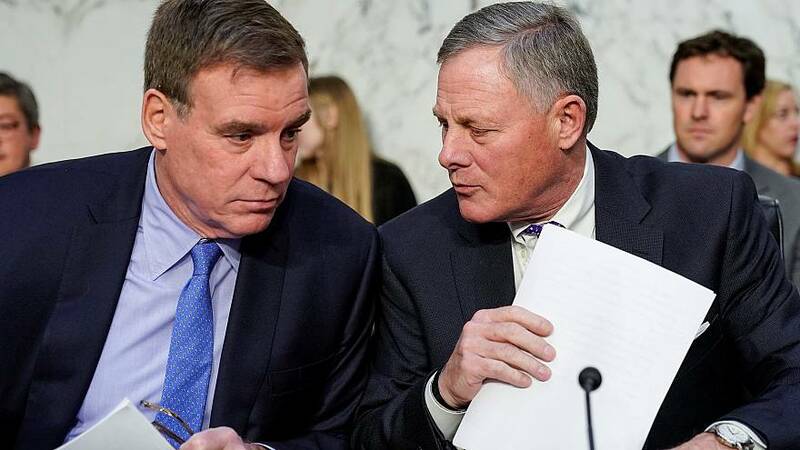 WASHINGTON — After two years and 200 interviews, the Senate Intelligence Committee is approaching the end of its investigation into the 2016 election, having uncovered no direct evidence of a conspiracy between the Trump campaign and Russia, according to both Democrats and Republicanson the committee. But investigators disagree along party lines when it comes to the implications of a pattern of contacts they have documented betweenTrump associates and Russians — contacts that occurred before, during and after Russian intelligence operatives were seeking to help Trump by leaking hacked Democratic emails and attacking his opponent on social media. "We were never going find a contract signed in blood saying, 'Hey Vlad, we're going to collude," one Democratic aide said. House Republicans announced last year they had found no evidence of collusion, but their report came under immediate criticism as a highly partisan product that excluded Democrats. Now in power, House Democrats recently announced an expanded probe that will go beyond the 2016 election to examine whether any foreign government has undue financial influence on Trump or his family. And New York prosecutors are pursuing their own criminal inquiry related to hush money payments to women. The investigations into Donald Trump, therefore, are far from over. Democratic Senate investigators say it may take them six or seven months to craft their final report once they are done with witness interviews. They say they have uncovered facts yet to be made public, and that they hope to make Americans more fully aware of the extent to which the Russians manipulated the U.S. presidential election with the help of some Trump officials, witting or unwitting. After it recently emerged that Trump campaign chairman Paul Manafort shared campaign polling data with a man the FBI says is linked to Russian intelligence, Warner called that the most persuasive evidence yet of coordination.